‘This is just a brief note to thank you for services selling my late mother’s property. I am in no doubt that your friendly, helpful and professional approach and your knowledge of the town has helped to achieve a sale in good time. I used to think that all Estate Agents were unscrupulous people who were only interested in their commission. My experience with Byrne Runciman showed me that I was wrong to lump the entire profession under the same banner. Instead, Ben, Rona and the team came across as decent, honourable and professional. I had many conversations with them when my house was on the market and they were always a pleasure to deal with. We do not accept payment from mortgage brokers, solicitors or any other individuals in return for recommending that our customers use them. We are happy to pass on the details of firms who provide a good service but, we do not make recommendations and we do not accept any form of ‘backhander’. 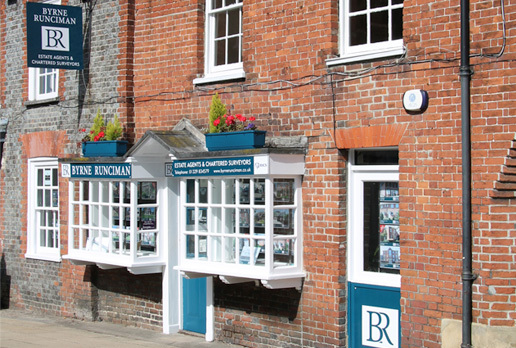 Byrne Runciman is proudly independent and has never accepted referral fees from any individual or organisation.